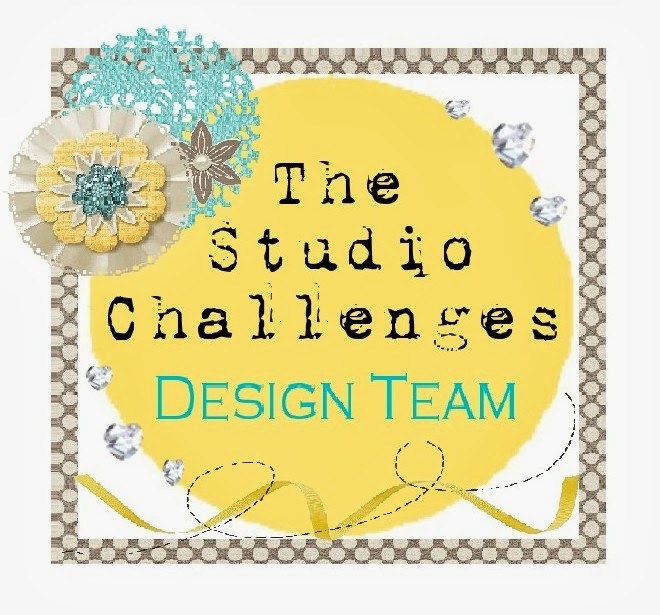 It's sunday again and time for a new challenge at the studio challenge blog! The assignment today:Sparkle and Shine; for this challenge we want to see your layouts with things that shine and sparkle this could be glitter, metallics, gems etc. 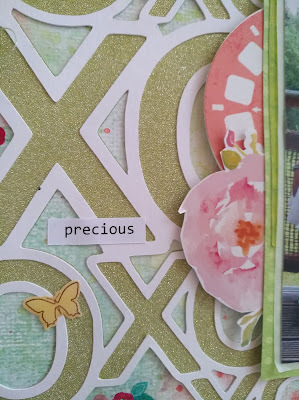 I used the beautiful xoxo cut file from just nick and backed it with light green glitter paper. This is perfect with the cute photos of my sweet girls! Here you can see the lots of glitter! 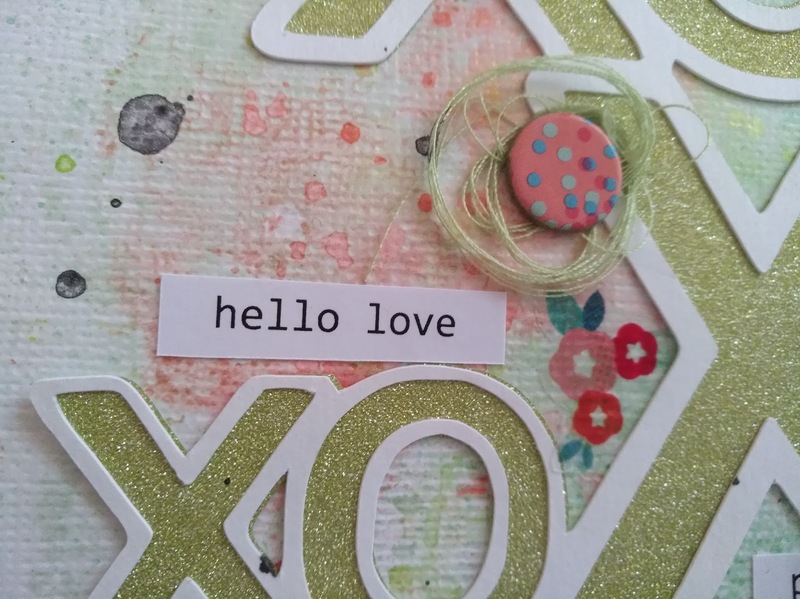 now, let us see, what you create!